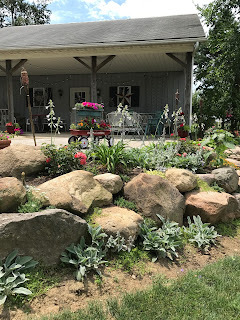 BosBee Quilting: June is almost gone! Whoa, I can't believe I haven't posted since the first of the year! Shame on me, but in my defense, we have been crazy busy. Life gets in the way sometimes, but we are putting all we have into retirement. So here are some of the things we have been up to. I am working on a book of classic quilt blocks. Who knows if I ever get it finished or that it will ever be published, but it is fun gathering all the information and pictures from the past. Here is a few things I am including. The green block is from the book "1001 Patchwork Blocks" by Maggie Malone. I have updated the way of cutting the pieces for the block using strips of fabric as opposed to templates. The blue block was used in a quilt that my mother and grandmother pieced in the 1950's. So far I have not been able to find a name for this block. Maybe I should have a contest to create a name for it. I will have to think about that. 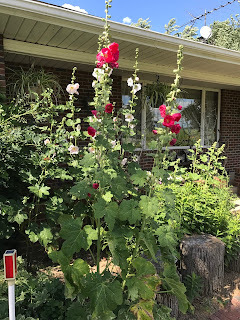 My summer is filled with flowers and gardening. Thank goodness for my husband and all his help or I would never have time for anything. 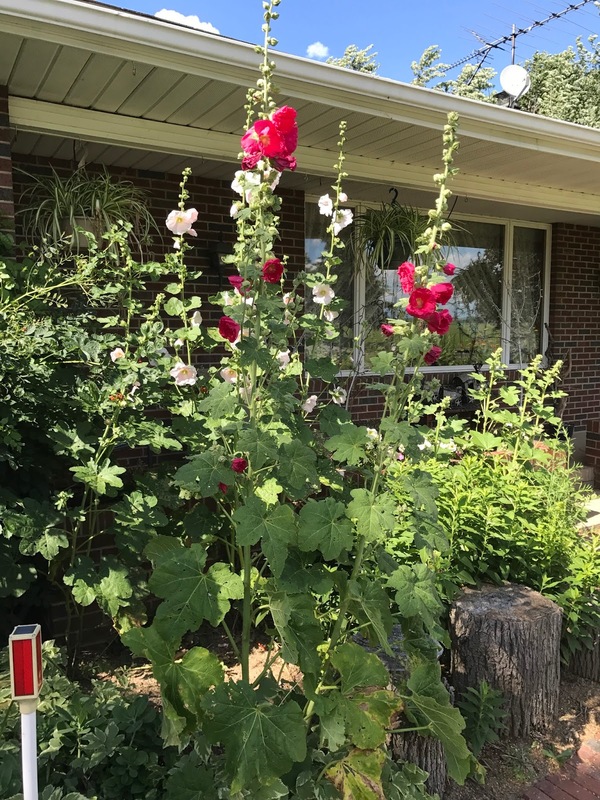 Here is another project I have been doing this summer. I am always wearing a hat when I am out in the sun working in my flower beds. Well, some of my hats are getting a little funky so I decided to make a new one. This lead me to making a number of them in all sizes and they have become a big hit. 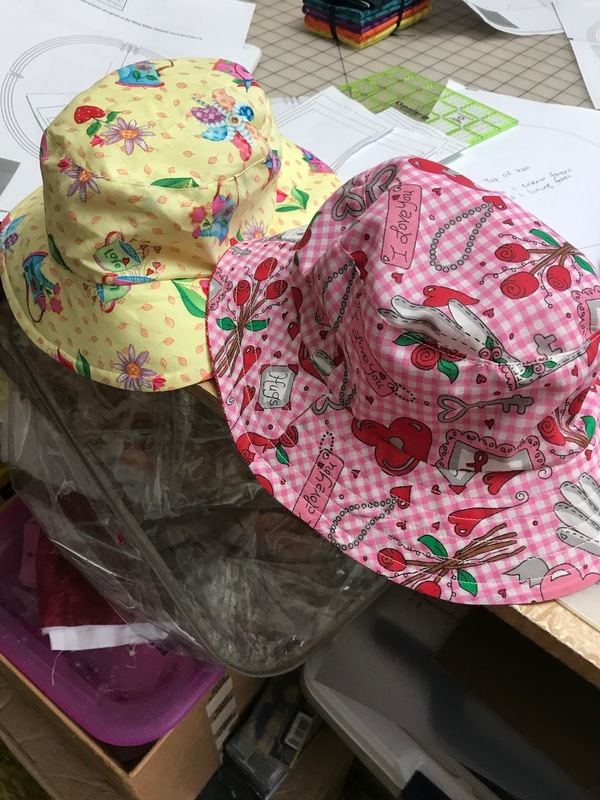 Here are a couple of kids hats that I made. And them of course I am a sucker for new trends. 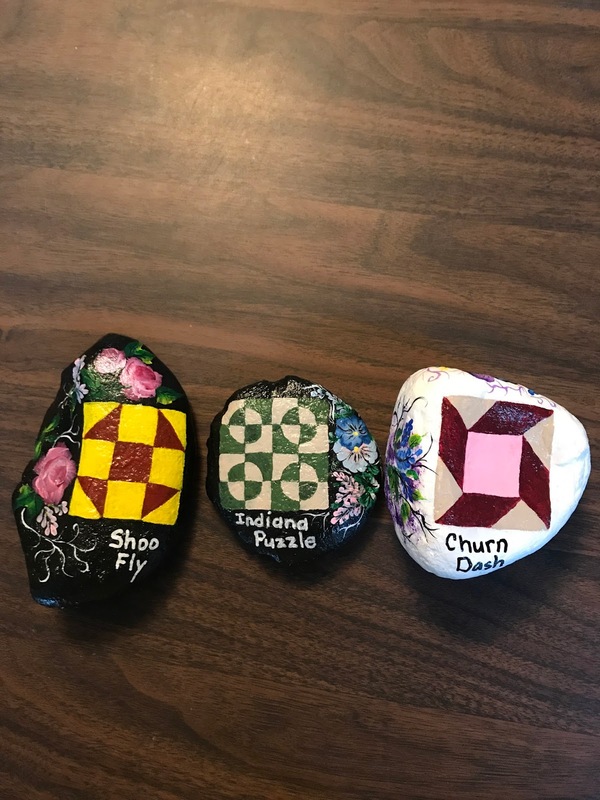 Here in Northeast Ohio we have a Facebook group that is painting and hiding rocks. It is fun to see how far your rock can travel. So me being me, I decided to use a quilt theme. 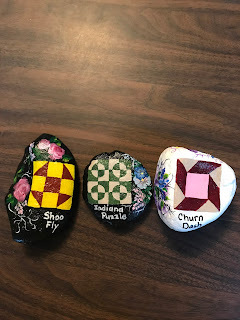 I paint a quilt block on each rock and hide them whenever I am out and about. Here is a sample of the ones I have done.